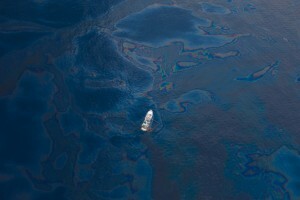 Four years since the largest offshore oil spill in American history, British Petroleum is largely discontinuing funds for determining the extent of the damage. On April 20, 2010, BP’s Deepwater Horizon oil rig exploded, killing 11 people and spilling 210 million gallons of oil into the Gulf of Mexico. Since then, the company has paid more than $1 billion into the Natural Resource Damage Assessment, a multiagency governmental research program intended to determine the extent of BP’s legal obligation. Recently, however, BP has expressed concerns over the lack of transparency in the research process they are financing, and now is refusing to pay the Financial Times reports that it has refused to pay $148m toward additional research, including research for the recovery of the coastal wetlands.